The latest recurrence of domestic protests in Iran stems from the country’s role in regional wars, combined with corruption and economic mismanagement. This discontent is likely to continue to pose a challenge. 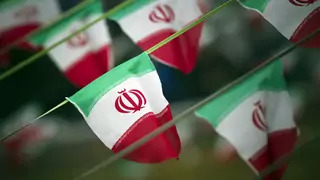 Iran could restart aspects of its nuclear program if President Trump declines to renew sanctions waivers this month, leaving major powers with few options for monitoring or restricting it. The British Parliament is set to vote on Prime Minister Theresa May’s revised Brexit deal ahead of a looming deadline, and Iranian President Hassan Rouhani visits Baghdad for the first time in his tenure to talk trade. President Hassan Rouhani commemorates Iran's 1979 Islamic Revolution, the United Kingdom's House of Commons votes on a new Brexit deal, and the African Union convenes in Addis Ababa. Panelists discuss the political and economic challenges facing Iran internally, including the recent protests and the pressure to deliver economic development under the stress of sanctions.